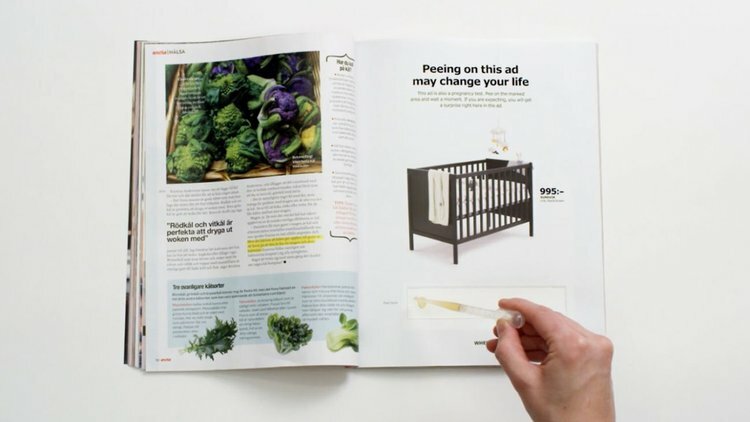 “Peeing on this ad may change your life,” reads the text at the top of a new IKEA advertisement in a women’s magazine. That text alone, devoid of context, might understandably make you question whether the Swedish retail giant has gone a little too far in the hope of grabbing the attention of a fickle public, but take in the rest of the page, and it starts to make a little bit more sense. But just a little bit, because they’re still asking you to tote a pee-soaked piece of paper around. Down yonder is the rectangle in which you are expected to deposit your urine – carefully, one would hope, perhaps with a syringe, though most people will likely just hold the whole page inside the toilet. 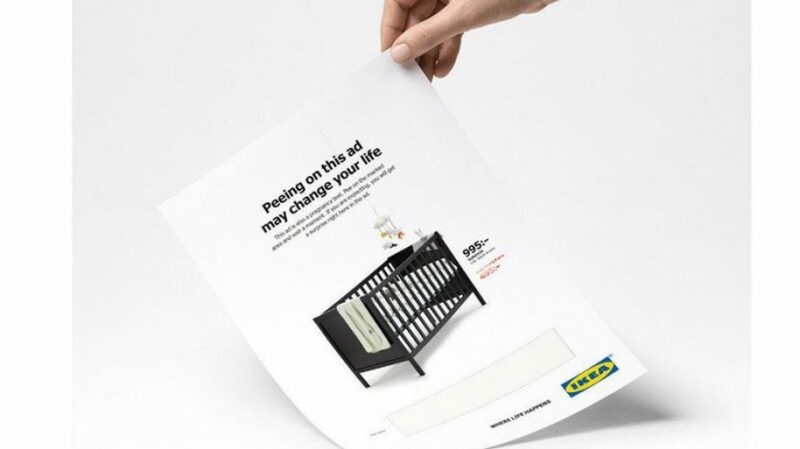 Which raises the question of whether IKEA considered the fact that they’re asking customers to bring this paper into stores and hand them to employees in exchange for 50% off a crib. In any case, you can’t deny that the ad made a splash. 15 Cool Hi-tech Spy Gadgets or Creepy Gifts for Stalkers?